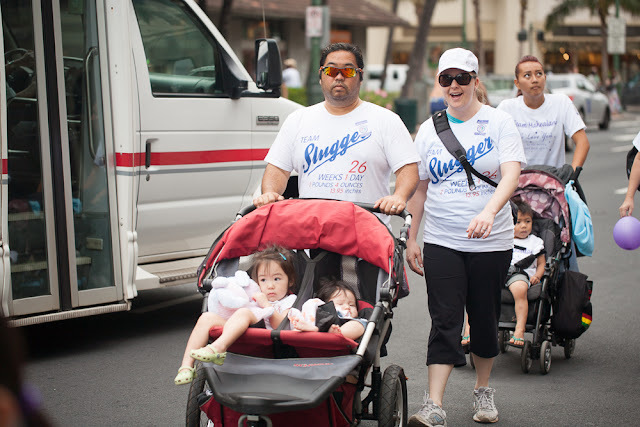 This year's March for Babies was another beautiful sunny day in Waikiki. 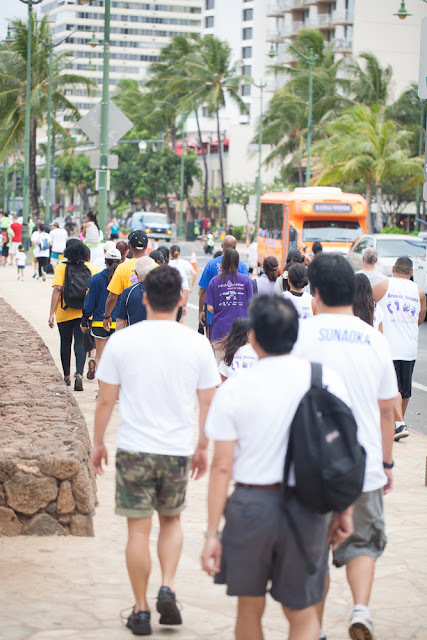 The walk begins at 7:30 am in Kapiolani Park and we started out fresh and energetic. But by the time we hit the turn-around point, the morning sun was blaring, all the babies were fed up with being in their strollers and we were soon a group of slightly sweaty, flushed walkers carrying adorable babies and pushing empty strollers=). This is our third year walking the March for Babies and I think we're only now starting to get the hang of it. After showing up so late last year that no walkers were in sight and we had to make up our own impromptu race course, we were right on time. We were dressed from the oncoming heat despite the chill of the morning air and were actually there to be able to start with everyone else. We were joined by Scott's parents, Papa and Nana Lee, Scott's brother, Stanton, and our friends, Joy, John, and Jess (we seem to have a lot of friends with "J" names). And this was the first year for our friends, Tom and Grace, whose twins spend their first few weeks of life in the NICU as well. 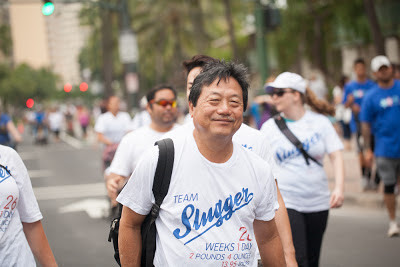 We might have been a little vague in explaining the walk to them as they thought we were leisurely strolling around the park and so Tom walked the course from Kapiolani Park to Magic Island and back in his rubbah slippahs. What a good sport! Even though we are no pros at this walk, I was still surprised at how emotional an experience it was. 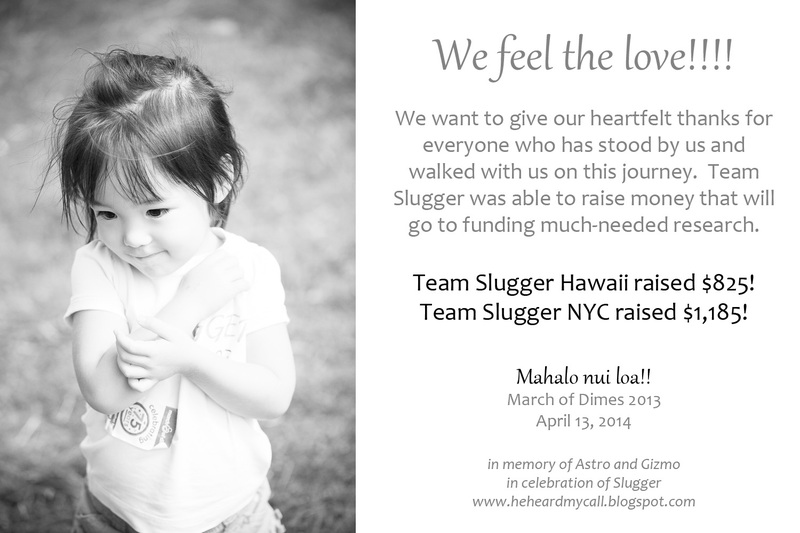 Many of you know our story so well, and I feel like we have the biggest support network in the world. We proudly wear our "Team Slugger" shirts designed, created, and printed by Roketo and the girls wear outfits, home-made by yours truly, tired-stays-up-all-night-with-iron-on-designs mama. 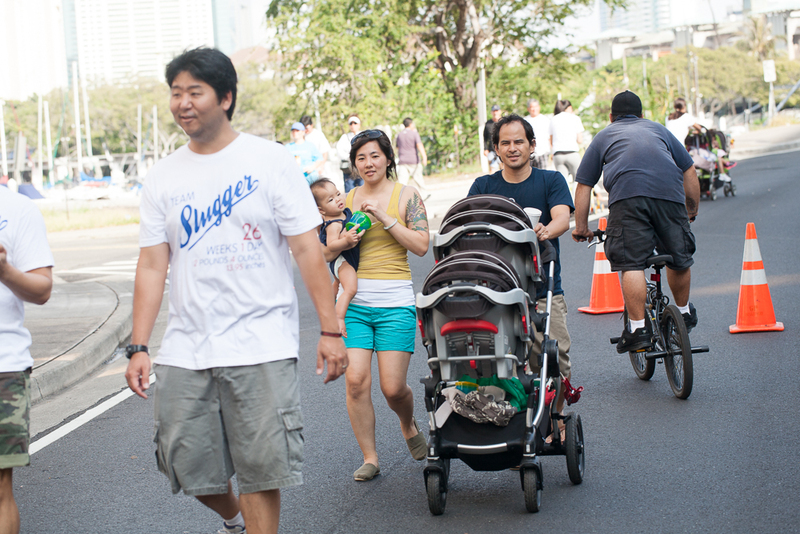 But I found myself walking in a sea of walkers with shirts that told their own stories of heartbreak and survival. I couldn't help but cry, both in sorry and in joy as I saw families celebrating their miracles. 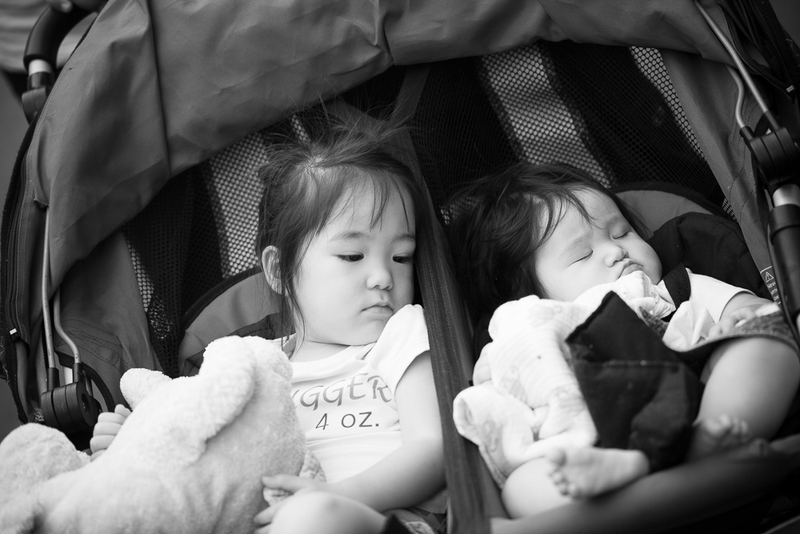 Children that started off weighing just a pound or two...now healthy toddlers, if-not a little hot and grouchy riding in their strollers. Miracles. This was the word that came to mind. There's no other word it. Their little frames amazingly strong, they were survivors. 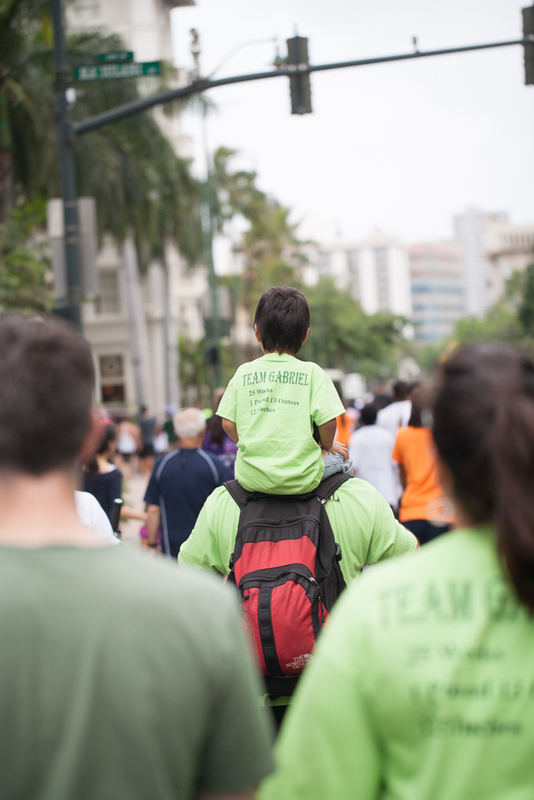 I smiled at a little boy riding on his dad's shoulder with proud mama just a few steps back. We struck up a conversation, exchanging birth weights and days spent in the hospital sitting by an isolette. Smiling now...because this truly felt like a celebration...a parade past Waikiki tourists...waving and smiling with unfettered joy. And then there were the tears that you couldn't hold back when you saw T-shirts with angel wings stenciled around names. Large groups and families still proudly wearing those shirts, still showering that child with love even if it was only a memory. 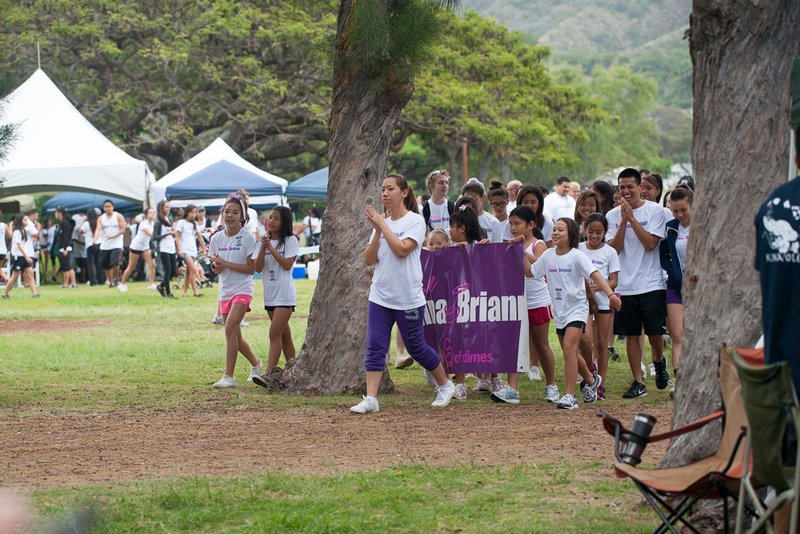 We were most impressed by this humongous crowd for Team Arianna and Team Brianna. 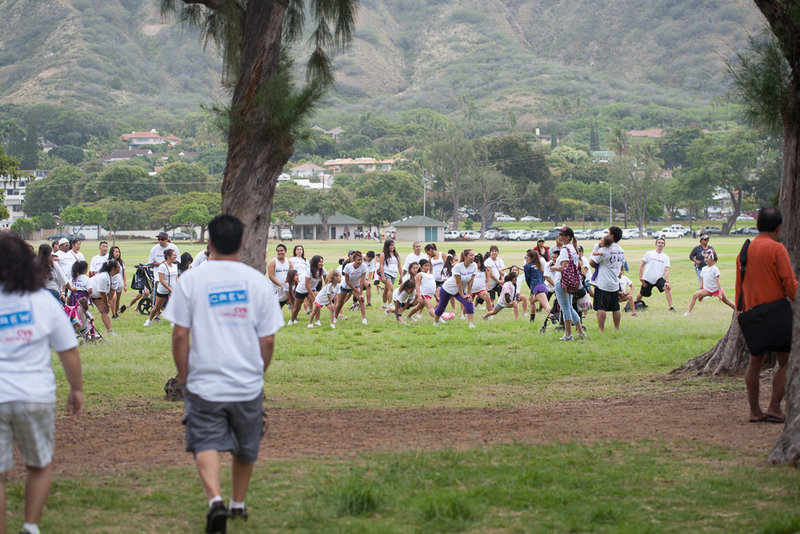 They actually had a group stretch before the walk started and carried a huge banner. After the walk, I was able to find their website and read Nicole's story of her twin girls and we even connected through email. 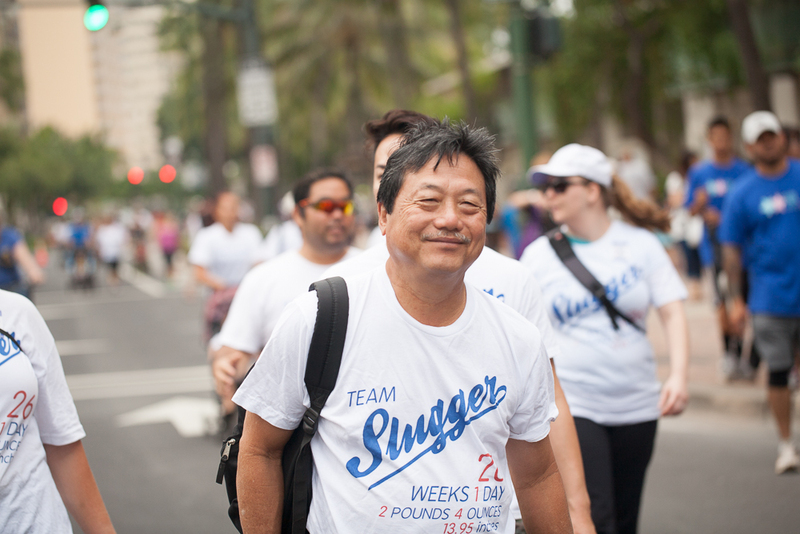 This was my brother-in-law's first year walking with us and the first thing he said when he saw the crowds was "wow, this is huge." It is...you wouldn't expect it to be. 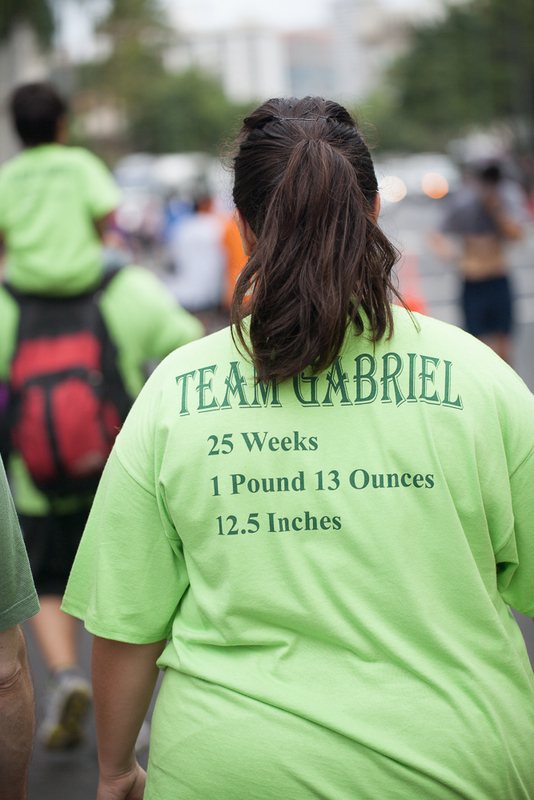 But it is amazing how many people have been affected by prematurity. 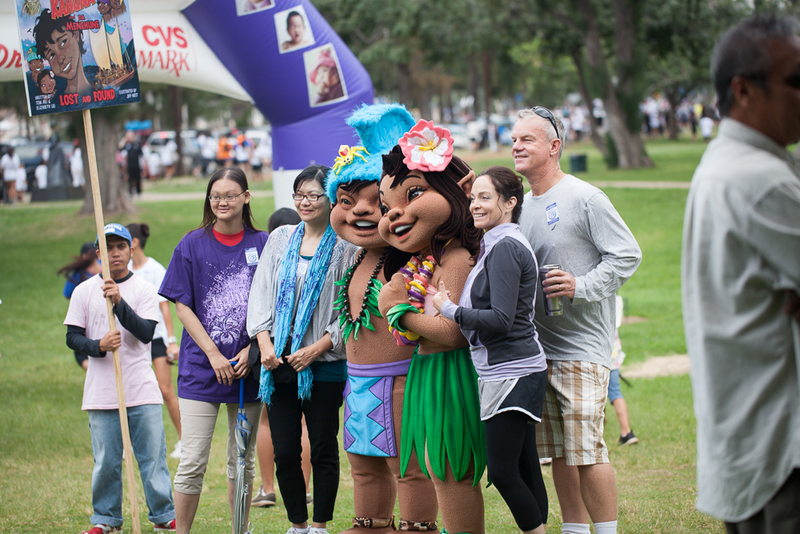 Which is one of the reasons why we're so proud to have raised money for the March of Dimes. 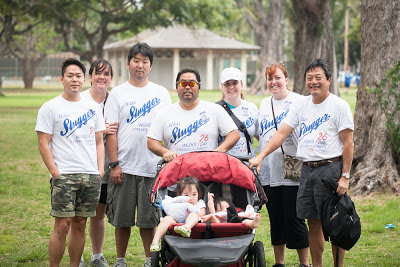 Team Slugger Hawaii was once again joined by Team Slugger NYC, led by BC classmate Yong and his family. Their team keeps getting bigger and bigger every year.